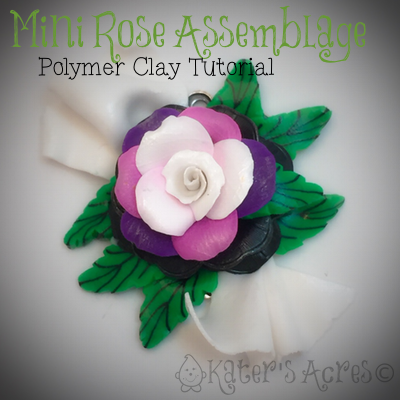 This little polymer clay rose assemblage pendant tutorial can be used to make a variety of designs using a faux polymer fabric and lovely little flowers. Use brass stampings to accent your pieces and bring them to life as well. Get the best quality low raw brass stampings from B’Sue Boutiques. After your project is finished, bake in your polymer clay dedicated oven for 45-60 minutes covered in foil at 275 degrees Fahrenheit.